Selector publisher Paul Diamond indulges his love of Pinot at a privileged tasting with the incredibly generous Burch family of WA’s Howard Park Wines. Find out how you can attend the exclusive invitation-only Howard Park Wines International Pinot Tasting and Lunch this October down below. Humans certainly get interesting when they add wine into their system, but the complex factors that shape what varieties we prefer, how often we like to enjoy them and how much we are prepared to spend would make for a revealing branch of Anthropological Psychology. Some of us collect and covet, some of us stick to what we know, whilst some of us are always looking over the horizon, yearning to explore and experiment. Then there are those who splurge and share. These folk love sharing their passion, knowledge and experience. Generally humorous and highly social, these peeps are OK with nursing a little hangover tomorrow in exchange for enjoying good wine, food and company today. Jeff Burch, head of Burch Family Wines, is one such gent. Every year since 2006, Jeff and his wife Amy, daughter Natalie and sons Richard and David, welcome friends from all over the country to share in a day of wine exploration, great food and conversation. It started with Riesling, mirroring their love for producing cool climate Rieslings from their Great Southern vineyards. Howard Park Riesling is now the fourth most collected of its type in the country. Out of millions of wines produced in this country, it is now considered a varietal benchmark. 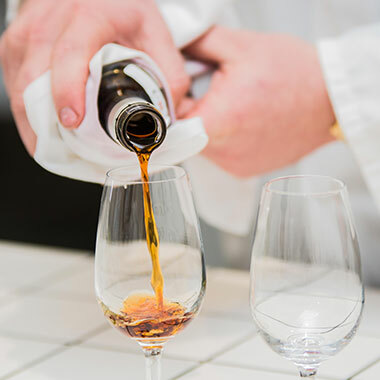 It takes considerable energy, resources and expense to every year collect some of the best varietal examples in the world, fly people from all over the country to Perth and ship them down to Margaret River then put on a tasting and lunch. Maybe the enlightening perspective gained from benchmarking your wines against the best in the world is the driving motivation behind the whole exercise. Each has their differing opinions on this, but one thing is for sure, putting yourself up against the world’s best year after year is a brave thing to do, especially with something as subjective as wine. In 2010, the family decided to switch its focus from Riesling to Pinot and the annual International Pinot Noir tasting and lunch was born. The move reflects their commitment and desire to explore the possibilities of the variety from the cool climate regions of WA, specifically Great Southern, the Porongurups and Mount Barker. Jeff and his family produce Pinots across their MadFish and Howard Park labels, as well as Marchand & Burch, a collaborative project with Burgundian winemaker Pascal Marchand from Domaine Comte Armand, previously at Domaine De La Vougeraie. grown and sold varieties in Australia, if not the world. Despite all this, Pinot can produce some of the most expensive, expressive and sought after wines on the planet and if you truly want to explore the psychological effect of wine on humans, share a good bottle with someone who loves Pinot. Jeff Burch would be a perfect subject for this pleasurable experiment and the experience will go a long way to explaining his generosity and energy when it comes to Pinot. Last year, 100 of the Burch family’s friends, wine club members, trade partners and local Pinotphiles congregated at Howard Park’s Margaret River cellar door and got to sample 18 of the world’s best, most interesting and expressive Pinots. Across three brackets hosted separately by Howard Park’s Chief Winemaker Janice McDonald, Optometrist, Burghound and Master of Champagne, Steve Leslie, and Jeff, the wines were tasted blind, scored and everyone nominated what they believed the wines were from a list of six. The wines were then revealed and discussions were held regarding each wine: their homes, history, style and expressions. The tasting format, while challenging, was as refreshing as it was illuminating. Everyone knew what was in each bracket, but not knowing which wine was in which glass removed prejudice, allowing everyone to absorb the many glorious expressions this variety can exhibit. Most Pinot tastings are a race to the top with the French Premier Cru (1er) wines getting all the attention due to their expense and scarcity. But this tasting was a true exercise in perspective, featuring interesting, expressive wines that captured attention. Yes, there were some1er Cru French wines, but there were as many German ‘spatburgunder’ tasted as well as interesting Australian, New Zealand and American wines. One of the big conclusions from this exercise was that whilst the French wines still hold the crown for classic, deep, ethereal and nuanced Pinot Noir characters, the new world – America, Australia and New Zealand – offers an incredibly broad and exciting range of varietal attributes. After the tasting, lunch was served, the world’s biggest cheese table was assembled and as the band started, a game of backyard cricket ‘glass in hand’ style was beginning. The day stands as a wonderful celebration of Pinot Noir, warm hospitality and the Burch family’s generosity. Long may they all live. 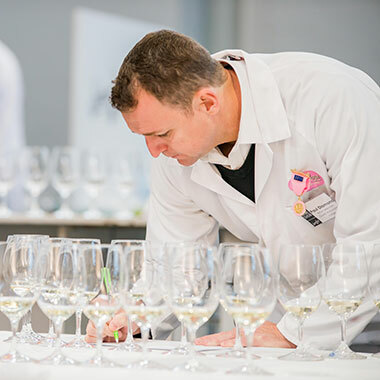 While spending a day tasting and assessing wine may sound like heaven to many, it’s a gruelling process requiring a high level of focus and concentration. Shiraz is still Australia’s most versatile wine As the country’s most widely planted variety, it was clear that despite vastly differing climates, Australian winemakers continue to adapt and create a variety of examples of Shiraz and Syrah that express their unique terroir. A swag of Gold medals were awarded to wines from across a broad range of regions throughout the country. One such example is the Gold medal-winning Berrigan Syrah 2015 from South Australia’s Limestone Coast sub regions of Mount Benson and Robe. For winemaker Dan Berrigan, this was great news. “It’s like a huge pat on the back,” says Dan. “So much hard work goes into my wines, starting in the vineyard and continuing all the way to bottling. Great wine show results fill you with confidence that you’re on the right track and that you're not insane for taking a chance on a new and exciting wine region." All in all it was great to see so many wines and winemakers that we know and love here at Wine Selectors achieve the recognition they deserve with Gold Medals awarded to Miles From Nowhere , De Bortoli , Tyrrells, Evans & Tate , Tulloch , d’Arenberg , Best’s, Andrew Thomas, Devil’s Corner, Bleasdale, Berrigan Wines and many more. A relative newcomer to Wine Selectors, Shingleback Wines, had a great wine show picking up the Best Value Red Trophy for their 2016 Red Knot Grenache Shiraz Mourvedre, plus three Golds. John Davey, the director of winemaking and viticulture at Shingleback, was thrilled, “Although we’re confident in the quality of our wines, and have achieved considerable acclaim over the years, the thrill of success at a wine show never diminishes and has an energising effect on the whole team,” he says. “I take great pride in my esteemed peers judging my children (my wines) worthy of merit.” Sample Gold medal-winners from the 2017 KPMG Sydney Royal Wine Show We’ve put together an exclusive collection of Gold meda-winners from the 2017 KPMG Sydney Royal Wine Show available in either a red, white or mixed dozen. All of these wines were awarded a minimum of 95 points out of 100, with including the Trophy-winning Tyrrell’s Stevens Vineyard Semillon 2011. And, every dozen comes with bonus tasting notes including suggested food matches! To find out more about the collection click here . To see the full results and all of the medal and Trophy winners visit the NSW RAS website. Hunter Valley, NSW Tyrrell's Wines - Bruce Tyrrell, Managing Director The outlook is great for our winemaking friends in the Hunter Valley , including Tyrrell's Wines whose Managing Director, Bruce Tyrrell wrote in his report when their Hunter vintage finished in February: "As I write this our Hunter Vintage is over apart from 3 tonnes of Cabernet , which has got at least a week to go and hopefully it survives the rain this weekend. We finished picking this morning with Pokolbin Hills Shiraz, the end of Stevens Glen Oak and DeBeyers Sangiovese." "It is only 35 days since we started picking Chardonnay for sparkling , and I think we will all remember this Vintage for the joy of picking clean fruit, and no mud. At the end of the day we have some very good wine in the cellar, our tonnages are about spot on budget, and we have a month to wait until we start in Heathcote ." You can read Bruce's full vintage experience here .